Absolutely gorgeous one-level home with meticulously maintained private back yard. 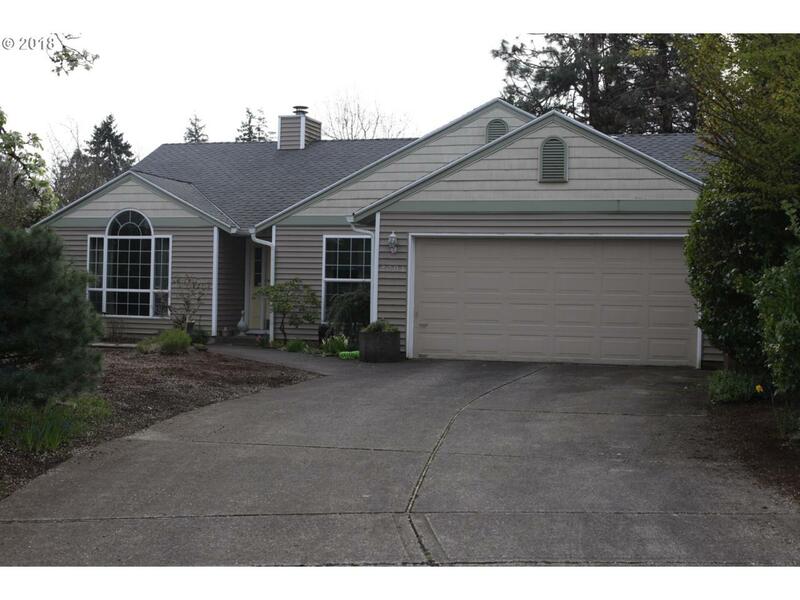 Vaulted ceilings throughout, stainless appliances, updated laminate floors, 3rd bedroom/office. Guest bedroom murphy bed stays with the home. Newer furnace and roof, fully fenced yard with beautiful custom deck, fenced garden area, sprinkling system, tool shed and patio. Turn key move-in-ready oasis. You don't want to miss this one!